Hypothyroidism is a medical condition where your thyroid gland under-produces a hormone called thyroxine. Hyperthyroidism is the opposite where your thyroid gland over-produces the thyroxine hormones. Your thyroid gland helps to control your metabolism and the rate at which you burn calories. With an underactive thyroid, you may experience fatigue, weight gain, PMS problems, infertility, low body temperature, low immunity and poor concentration. While mild symptoms can be relatively harmless, if this condition is left untreated it can have grave consequences. In extreme cases, part of the thyroid gland may be removed surgically. For less severe situations, your doctor may prescribe thyroid medications. Whenever you take a medication, you run the risk of experiencing side effects. There are some foods that you may want to limit eating when you have an under-active thyroid issue. Among them are cruciferous vegetables, peaches, pears and radishes. For better result, totally avoid eating these: Foods that contain gluten, soy products, processed foods that contain artificial food additives, artificial sugar and transfats, stimulants like coffee, tea, nicotine and sodas. Read more about nutrition for hypothyroidism. Do not ignore a thyroid issue, but manage it, and probably even heal by eating totally clean. 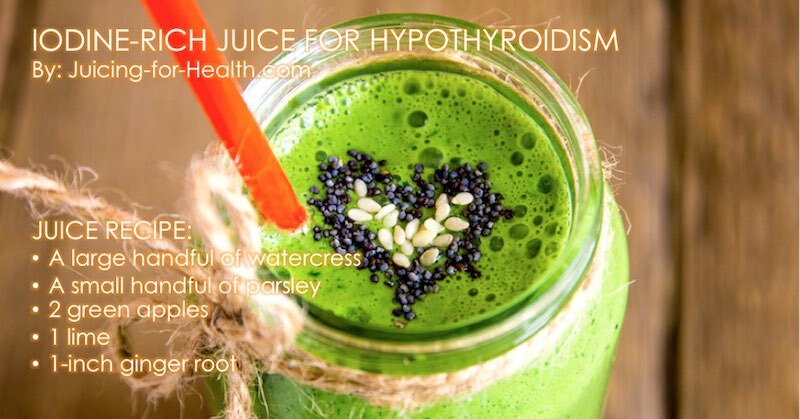 Here are 5 juices that you can make for yourself, to reduce symptoms of a hypothyroidism issue. Watercress has a high iodine content that helps reduce symptoms of an under-active thyroid. It is also very detoxifying to the liver, further improving the immune system. This juice may not be suitable for an overactive thyroid. This juice recipe contains beetroot that is highly anti-inflammatory, helps to cleanse the liver and boost your immune system. Sunburst juice contains foods high in antioxidant vitamin C content, that help improve your immune system. 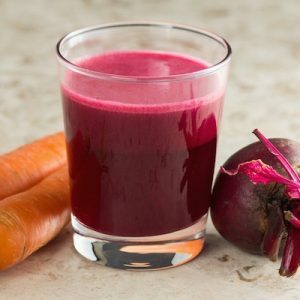 If you are experiencing signs of an under-active thyroid, try these juices by drinking one to two glasses a day and begin to avoid those foods that aggravate. There are many “clean”, gluten-free food recipes you can start eating when switching away from processed foods. 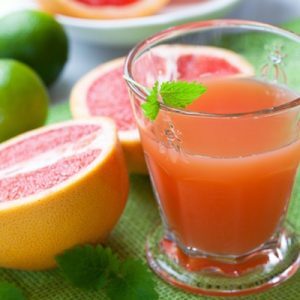 Drinking these juices may help you deal with some of your symptoms and may even correct your thyroid issue.